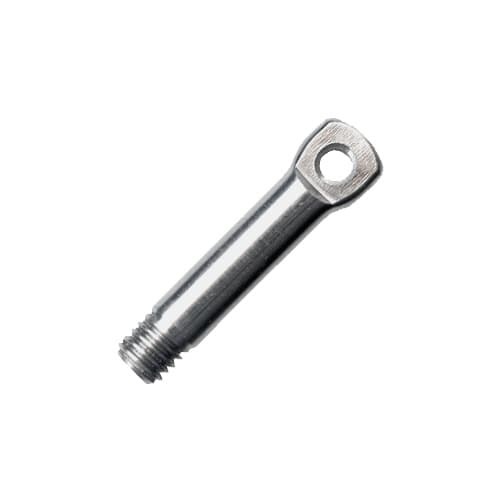 Forged by electrical upset methods here in the UK from A4-AISI 316 grade stainless steel, strong and hard-wearing, perfect for highly corrosive environments. Available in a wide range of sizes - 4mm, 5mm, 6mm, 8mm, 10mm, 11mm, 12mm, 16mm and 19mm. Finished to the highest of standards with a highly polished finish. 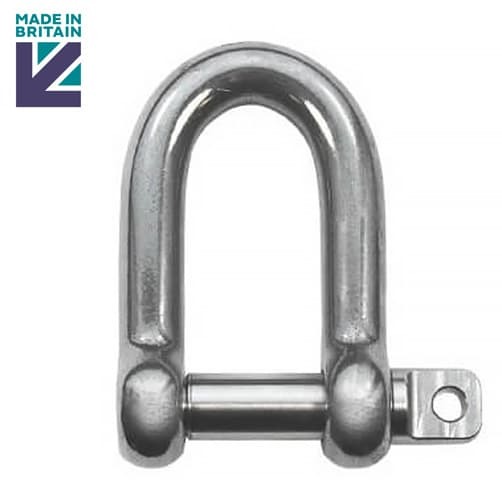 This high quality stainless steel shackle with standard pin is manufactured here in the UK. Tested & Certified To BS EN 10203 3.1b. 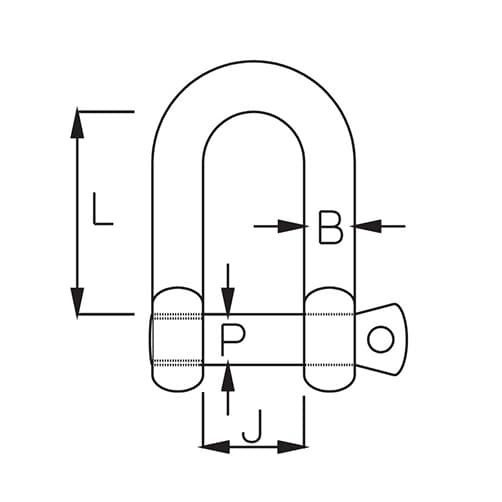 Should you require your shackle tested, certified and marked with its Safe Working Load (SWL), you can simply call us on 01302 752 504 and we will be happy to carry this out. I am using this D shackle on a Chest press machine way over the weight limit of the D Shackle of this size but they are still holding up perfect . Really good quality and value for money. These are not cheap rubbish. exactly as described, with a good finish.